Does your business already have an email marketing program? Great. Then you’re going to love social remarketing. And if you haven’t been sending email promotions and newsletters, then you can skip straight to the next big thing. If you’re not quite sure what social remarketing is, you’re not alone. Savvy marketers are just now starting to implement these powerful new tools. So let’s get you caught up. Social – It’s marketing you do on Facebook, Instagram, Twitter, Google+ and the like. Remarketing – Marketing again to people who have already been your customers, users, or shoppers at some point in the past. Here are a couple of examples of social remarketing campaigns on Facebook. Let’s keep using Facebook as an example to explore this a bit further, since Facebook is the largest social network. First, let’s clear something up. Not all activity that a business does on Facebook would be considered social remarketing. There are lots of activities a business can do on Facebook: Create a Facebook page. Post articles and pictures on your Facebook feed. Buy sponsored posts or right rail ads for your business. 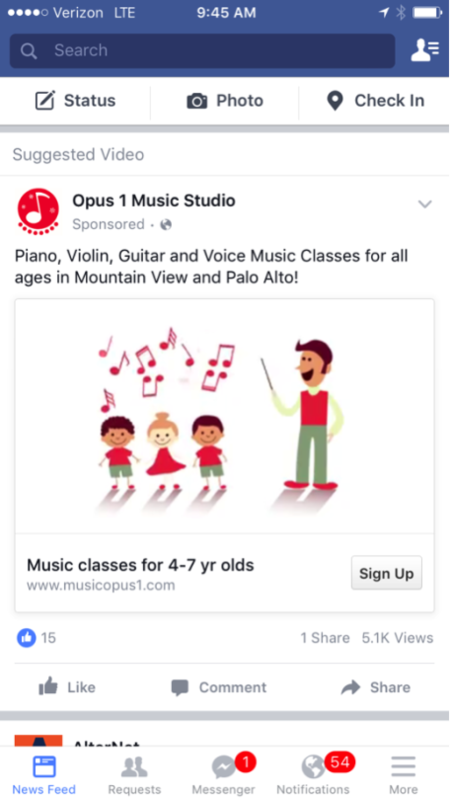 Buy targeted ads based on behaviors and preferences that Facebook knows about. Buy ads for people who have “liked” you FB page. These are all great. But they are not in our definition of social remarketing. You are doing social remarketing when you start with a defined list of people who you know have bought your products, or at least attempted to, and you’re going after just those people exclusively with your campaign. That matters because these are typically the people who have the highest likelihood of doing business with you again. So making the business decision to market directly to them is simple. It’s likely to be one the highest return activities in your marketing plan. So, know that we know basically what social remarketing is, let’s get to why it beats email for businesses looking to re-engage their prior customers. 1. No Spam – Unlike email, your messages have zero change of being marked as spam by the recipient or by the email service provider. 2. No Unsubscribes – Email programs start racking up unsubscribers as recipients try to keep their inbox clean. When you engage in social remarketing there is no such thing as unsubscribing, so your messages will always have a chance to get through. 3. No Filtering – Gmail has gotten very good at figuring out what promotional mail looks like, and it moves that over to a separate tab that is easy to ignore. Again, social remarketing wins out here because your sponsored posts and ad placements will show up exactly where you expect them to. 4. Shares – People rarely forward promotional emails to 300 of their closest friends. However, when you get a hit with an engaging social post, it’s going to be shared and re-shared giving you an effective audience that is much bigger than you’re paying for. 5. 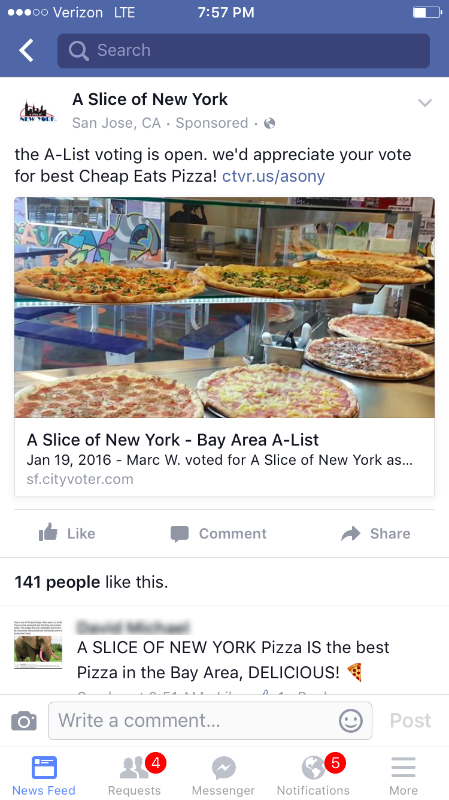 Comments – Sponsored posts have comment functionality like every other post. That means your posts can start engaging conversations for all to see. That’s not something your email can do. 6. Quality – Due to the nature of social platforms and the prospect of your content being shared and discussed, simply choosing to promote your business through these channels ends up acting as a forcing function to improve the quality of your marketing messages. When you come up with ideas for a remarketing campaign content, you will naturally be asking yourself, “Is this content compelling enough that people will want to share it with all their friends and add their own comments?” If not, you might want to go back to the drawing board. Sending out promotional emails does not automatically force this kind of rigorous quality control. 7. Video –What’s more engaging: a stock photo or a funny video? Right. That’s why the most popular format rising on Facebook now is video. Creating a video around your message is not only possible, but encouraged. And it is almost guaranteed to outperform a static photo. Try sending a 30 second video through email and you’ll know why social remarketing wins here. 8. Slideshow – Maybe a video is not in the cards right now for your business. But how about a beautiful slide show? What could a fashionable hair salon, trendy clothing shop, or art seller do with a slide show that shows up at the top of Facebook feeds? A lot. And they’ll also outperform a single stock photo that you’d stick into an email. 9. Phone Numbers – With email marketing you need a your customers’ email. Duh. With social remarketing you can also start with an email list. OR you can start with a list of customer phone numbers instead. Why is that important? Lots of appointment-based businesses have collected phone numbers for years, but have not necessarily been building up email lists. The same goes if you have an existing loyalty program or club card. Often it is the phone number that acts as the loyalty account number. Now you can easily translate that over to social. 10. Mobile Advertising IDs – If you’re not ready for your mind to be blown, stop here. This advanced trick is for cutting-edge marketing mavericks only. Most of the major social platforms also allow you to create custom audiences for social remarketing by uploading a list of mobile advertising IDs. What’s that? It’s like a cookie on your phone. Android and Apple both have the capability built into phones to share a unique number for the phone that apps and advertising can use to address that phone specifically. So if you already have a mobile app for your business, you might be able to use this trick. There are also platforms now being built out to allow basically any business - with or without a mobile app – to tap into this powerful technique. Combining this with in-store beacons, a local business such as a restaurant, jewelry shop, or new car dealership can now do offline-to-online remarketing. They can now match mobile advertising IDs of people who went into their store with those IDs known by social platforms, and create targeted online campaigns specifically to their walk-in traffic. Email can never match that. 11. Lookalike Audiences – When you start with a defined list of just those who have shopped or purchased your offering, you can use that set of customers as a template to go out and find similar people out there in the world. There is some sophisticated data modeling that takes your known customer group and finds others who might also be interested in your offering. Most of the social platforms offer up these tools to you to use. So in addition to remarketing to your prior customers, you will now have the tools to go out and do some efficient new customer acquisition. In summary, there are very few types of business that can’t benefit from social remarketing. And it can be effective for you whether you have 100 customers in your list or 100,000.